Ashley Frost is very much a location driven artist with many of his landscape works developed by painting and drawing outdoors. Where sea meets land and night meets day Frost immerses himself in what he describes as a convergence of light and place. Frost’s paintings play on the relationship between bodies of water, buildings, roads, cars and vast skies through a communication of colour, light and reflective qualities. He builds up thick, luscious layers of paint to give his works a highly appealing tactile quality. 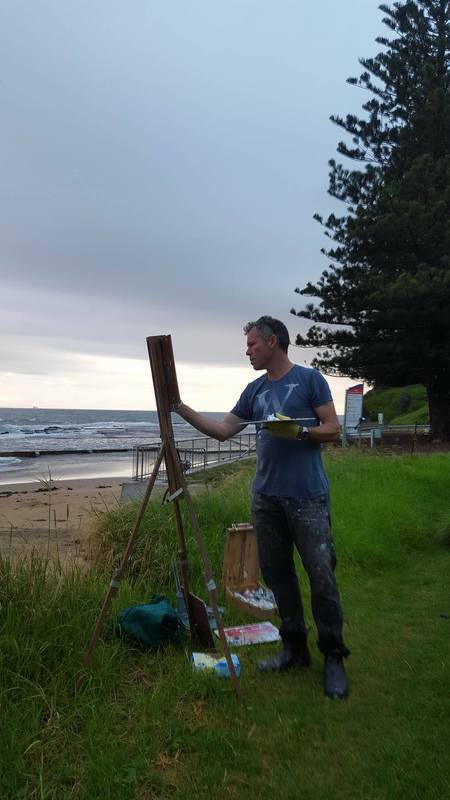 In 2018 Ashley won the Hills Art Prize and was a finalist in the Gallipoli Art Prize and the Calleen Art Award. He was a finalist in the 2017 EMSLA Still Life Prize and the 2017 NSW Parliament Plein Art Prize. Frost was a finalist in the 2017 Archibald Prize and winner of the people’s choice award for the 2017 Mosman Art Prize.